Welcome to this week's Finance Fridays. Last week we were looking at Smart Meter usage and for this week we're looking at ways to buy a car. With the 1st of March passing this week it means that the new '16' plate cars will be taking to the roads. I can't be the only one who likes to spot a new plate! Whether you buy a brand new car or a used one cars are pretty pricey items so getting together the money can be quite tricky. 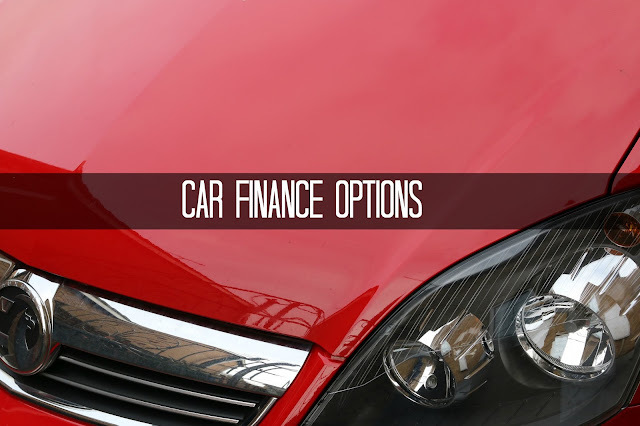 Have a look at some of our tips for car finance options. Cash – I've bought all of my cars for cash. I did save for many years before buying my first car and by the time I passed my test I had enough to buy a small but new car. I was also able to reap the benefits of a three year warranty, no MOT for three years and a year's free car insurance for myself and my husband – this alone was worth about £1,000 at the time. Once I've bought a new car I start saving up for the next one. Setting up a regular savings plan for your next car purchase can always be a good idea. Car dealer finance – Car dealers are in the business to sell cars and so will be very willing to provide finance for you. Obviously they will be making a good profit on any finance agreements and you can't blame them for making money. Do check the interest rate and payment period rather than just the monthly payment amount to see if it is competitive. If you're trading in your old car make sure you know how much it is worth beforehand so the full value is properly offset against the new car. If you are looking for a used car try to search for a local used car dealer so you can easily go back to them if necessary. Bank loan – Interest rates are still very low and most high street lenders are keen to offer loans for whatever you wish to purchase. However, with years of financial uncertainty they will only be wanting to lend money to customers with good credit histories. If it's been some time since you checked your credit score have look to make sure you can account for all the entries in your name. Leasing – If you want to want to have use of a new car but don't have the finances then leasing may be an option for you. If you take out a Personal Contract Hire (PCH) agreement you basically rent the car for a set amount and time and then hand it back at the end of the lease period. With a Personal Contract Purchase (PCP) you buy the car at the end of the lease period. Quite often you will be limited to the number of miles you can drive without paying a supplement so check the fine print. Bad credit - If you're looking for bad credit car finance there's plenty of options these days. One of the problems with having a car is that you come to rely on it so if it dies on you and you need to buy a new one if you have a bad credit record this can be a problem. Sometimes your bad credit history has arisen due to not keeping up repayments on another loan or simply a missed payment. Quite often if you've never taken out any form of credit before it can be difficult to obtain credit for the first time especially for the first time. Interest rates from such specialist providers can be much higher so factor this in when choosing your new car. Also be wary of long payment terms for car finances as the car you want to buy now may not suit your situation in five years time and if you have bought a second hand one it may be ready for renewal before then. You don't want to still be paying off a car you which doesn't work for you. How do you finance your car purchases? Do you like to buy from new or second hand? We were joined last week by Jane of Maflingo who has been looking into the cost of contact lenses. If you want to join in with this week's Finance Fridays then add your link to the linky below. Any post concerning financial matters is allowed. Full details here. It doesn't have to be published today as you have until 23.55 on Tuesday 8th 2016 to join in. Grab my badge below for your blog post. We bought ours second hand and with a part-exchange. That really helped. Great tips here. We normally try and part exchange and only ever buy second hand. Like you I have always bought the car after saving for it for years. Great tips. I didn't know there was so many options available out there! I've always saved hard to pay cash for any new car purchases and I' m not averse to a spot of haggling with the salesman to get a great price! I think that when it comes to spending that much money, it pays to take financial advise. We bought our last car with cash, but I know that is unlikely the next time! We've never bought a new car or a car on finance. It's always been second hand with cash. Luckily, we've had good cars that haven't given us problems. The only car we've bought that we have regretted it the current one. It doesn't give us any problems except for the fact the husband doesn't like the way it dips down at the front and you can't see where the car ends. He has difficulty parking so we're thinking of selling it and buying a new one. Luckily, his mum will lend us her car while we shop around for another one because she hardly ever drives hers. When I was younger, I always would love spotting all the new-reg cars when they came out! We bought our latest car (a year old) using finance - it was the only way for us to do it. We always buy ours second hand with cash. Mind you we also seem to pay for a lot of repairs!! It can be difficult to know which route to go down when you need to buy a car. These are great tips... thanks! we go my husbands car work scheme at work and we love it as we don't have the garage bill worries .